I’m Chelly Wood, and my two greatest passions are sewing for dolls and writing. My literary agent is the lovely and professional Liz Kracht of Kimberley Cameron and Associates. I’ve been sewing since the age of three, and I designed my first doll clothes item–a Barbie sun bonnet–at age eleven. By age sixteen, I was running a small business, designing my own doll clothes, altering commercial patterns to suit special orders, and selling my doll clothes to local families in my hometown area. Selling hand-sewn doll clothes helped me pay for college as well. When I went to work as a schoolteacher, I continued to design doll clothes, sometimes selling them at local craft fairs and other times just giving them away. Today I work as a school librarian, and the ads on ChellyWood.com bring in a bit of pocket money to help provide funds for fabric, notions, and new dolls. So if you enjoy my free doll clothes patterns and tutorials, please show your support by sharing the patterns and photos provided on this website through social media. It actually helps a lot! More visitors to this website means more pocket money, to keep doing what I do! This blog was started in 2014, as a means for me to share with the world my passion in doll clothes designs. At that time, it was really just a “personal journey” blog. My following kept building though, and in 2015, the Lammily doll company approached me and asked me to design some commercial patterns for their doll company. What a surprise! If your company or website would like to connect with me or use my images in a blog post or news story, feel free to contact me, and I would be happy to send you high resolution images of whichever free patterns or doll photo shoots tickle your fancy. Today I’m working on writing nonfiction books to help others learn to design and sew their own custom doll clothes. As a school librarian, that seemed like the next obvious step. While waiting for my books to be published, please feel free to enjoy the doll play videos I create on my YouTube Channel, including Romeo and Juliet With Dolls and Adventures in Paris. To see why I offer my patterns and doll clothes for free, please go to my Chelly’s Books page. Pinterest: Chelly Wood — Most of my boards offer free patterns for doll clothes and tutorials for my doll-related hobbies. YouTube: Chelly Wood’s Channel — You can see the videos I’ve created, including my sewing tutorials and book trailers (when my books come out). Twitter: @ChellyWood1 — You can see all of my blog posts from every blog I’ve created, not just this one. Facebook: ChellyWood — This is my personal page on Facebook. Facebook Version of ChellyWood.com — This is just a FB “blog” site, where my blog posts from here become duplicated. 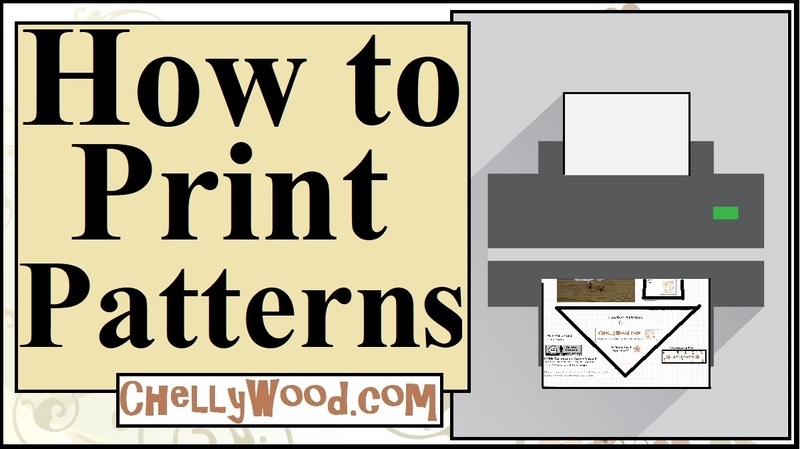 In my humble opinion, it’s much easier to download my patterns from this primary blog, rather than the FB one. But if you’re a fan of FB, you might want to use this interface to see my postings from time to time. Etsy: Chelly Wood — I do have an Etsy store account, but I almost never sell my creations. I’m too busy having fun! If I do get the urge to sell some of my stuff, I prefer selling on Etsy rather than eBay or Facebook. They have a very efficient platform. NaNoWriMo: Chelly Wood — I’m mostly active on this website in November, which is National Novel Writers’ Month. Google+: Chelly Wood — I don’t use my Google+ account much, but my patterns and blog posts appear in my Google+ account, so if you like Google+, you can use it to find my patterns and posts. English Emporium — This website offers tips on comma use, capitalization rules, common spelling errors, sentence structure, poetry, and so much more. If you’re a writer, student, or English teacher, this is the site for you. If you have a question or suggestion, feel free to contact me through my Submit a Question form. It goes directly to my email, and unless I’m out of town, I try to respond within one week’s time (and often much sooner). Thank you, Sartenanda, for sharing a link to your photos of dancing dolls. Those photos are positively amazing! I love the details in the dolls’ faces and costumes. The expressions on the faces of the dolls doing the “Dip” (the last couple of photos) are wonderful!